Only 1 more day to register (2/11) to be guaranteed an official Mardi Crawl T-Shirt MARDI CRAWL 2017 February 25, 2017 1pm – 6pm CLICK ON TAB ABOVE (Mardi Crawl Central 2017) for more information You can still register up until February 22, you just won’t be guaranteed a t-shirt. 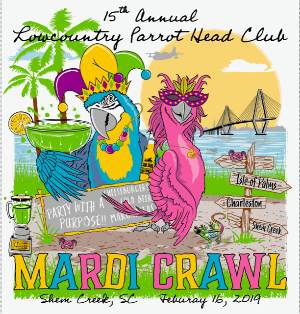 Registration for Mardi Crawl opening January 2, 2017 Register early to attend the best party (with a purpose) in town!! !